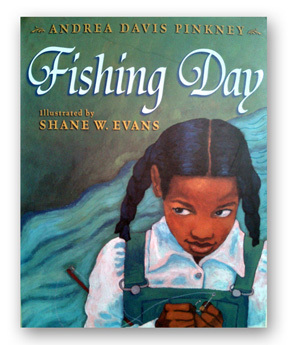 Andrea Davis Pinkney, Hyperion Books. Ages 4-8. This is a powerful story about the Jim Crow laws that segregated blacks and whites in the 1950s and 60s. Fishing Day focuses on the actions and subtle gestures of two children who break through these boundaries of separatism. The book demonstrates our ability to create change, one person and one action at a time.